Darsow made his debut in Hawaii as Tsar Mongo, before a short stint in New Zealand. He returned to Hawaii, before he began wrestling in 1983 in Georgia for Georgia Championship Wrestling before moving in 1984 to Mid-South Wrestling as Crusher Darsow, a turncoat American who was now a Soviet sympathizer and a tag team partner of Nikolai Volkoff. He changed his name to Krusher Khruschev and won the first ever Mid-South Television Title in a tournament by beating Terry Taylor in the finals on May 2, 1984 but lost it back to Taylor on June 16, 1984. Darsow moved on to Florida Championship Wrestling where he teamed with Jim Neidhart. They won the Florida United States Tag Team Titles on October 11, 1984 from Hector Guerrero and Cocoa Samoa. The team held them until December 1984, when they lost them to Mark and Jay Youngblood. Krusher moved on to the National Wrestling Alliance to work for Jim Crockett, Jr. in December 1984. He was awarded a third of the NWA World Six-Man Tag Team Championship with Ivan Koloff and Nikita Koloff. The Koloffs had already won the NWA World Tag Team Championship and Ivan declared that any two of them could defend the titles. They feuded with The Rock 'n' Roll Express (Ricky Morton and Robert Gibson) and the Road Warriors. On July 9, 1985, he and Ivan lost the NWA Tag Titles to the Rock 'N Roll Express. At Starrcade 1985, on November 28, Krusher won the vacant NWA Mid-Atlantic Heavyweight Championship by defeating Sam Houston. On January 11, 1986, Krusher severely injured his knee in a match with Houston on TBS. He lost the title to Houston and had to take almost six months off to recover. When Krusher returned, Nikita was feuding with Magnum T.A. for the NWA United States Heavyweight Championship. On August 17, 1986, Krusher helped Nikita win the title in the final match of a Best of 7 series by holding the referee while Nikita used his "Russian" chain on Magnum. After helping Nikita defeat Magnum, Krusher and Ivan targeted the new NWA United States Tag Team Championship, which was to be awarded to the winners of a tournament. They reached the finals, held on September 26, 1986, and defeated the Kansas Jayhawks (Dutch Mantel and Bobby Jaggers) with Nikita's help to become the first US Tag Team Champions. In October 1986, Magnum T.A. had a car accident that ended his career, and after admitting that he respected his one-time rival, Nikita turned his back on Ivan and Krusher to team with Magnum's good friend, Dusty Rhodes. Krusher and Ivan briefly feuded with Nikita and Rhodes but primarily defended their titles in rematches against Mantel and Jaggers. On December 9, 1986, they lost the US Tag Titles to Ron Garvin and Barry Windham. Darsow's contract eventually ran out and he left Jim Crockett Promotions. Darsow next went to the World Wrestling Federation. He was brought into the company to be part of the tag team Demolition, which had originally consisted of Bill Eadie as Ax and Randy Colley, who had been one of The Moondogs, as Smash. 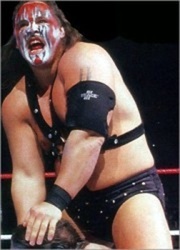 Darsow was tabbed as the new Smash after Colley, who wore face paint like Eadie did as part of his character, was deemed too recognizable even in disguise due to fans chanting "Moondog" at him whenever Demolition wrestled. At first, they were managed by Johnny Valiant, but he was soon replaced by Mr. Fuji. Their initial feuds involved the team of Ken Patera and Billy Jack Haynes, and Strike Force (Tito Santana and Rick Martel). On March 27, 1988 at WrestleMania IV, they defeated Strike Force to win their first WWF World tag team title, which they held for a record 16 months. They later lost Mr. Fuji as he left to manage their newest rivals, the Powers of Pain (The Barbarian and The Warlord). The double turn at Survivor Series '88 was the solution to the massive popularity being enjoyed by Demolition, who were designed to be the heels in their rivalry with the Powers of Pain. They lost the WWF Tag Team Title to Arn Anderson and Tully Blanchard, known as The Brain Busters, on the July 29, 1989 edition of Saturday Night's Main Event. They regained the title on October 2, but lost them to The Colossal Connection (Haku and André the Giant) on December 13. They defeated the Connection at WrestleMania VI on April 1, 1990 to become the third full-time team to win three titles in WWF history. The duo was joined by Crush (Brian Adams) later in 1990, making them a 3-man tag team and the second team Darsow had been involved in whose title reign operated under the Freebird Rule. Ax began appearing in a managerial role which was to eventually lead to the phasing out of the character. Demolition lost the titles to The Hart Foundation at SummerSlam '90. After a feud with the Legion of Doom, the team dropped down the card and would disband in the spring of 1991, with Crush leaving the WWF for a year and Smash wrestling in the undercard as a singles wrestler. His final recorded match as Smash would occur on August 24, 1991, getting pinned by The British Bulldog. 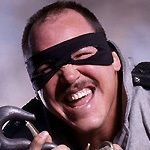 In late 1991, Darsow was repackaged as Repo Man, a ubiquitous, sneaky heel character who delighted in repossessing items such as cars from people when they were late on (or unable to make) their payments. Repo Man wore a black Lone Ranger Zorro-like Domino mask and an outfit with tire tracks on them, and had mannerisms similar to Frank Gorshin's portrayal of The Riddler. He always carried a tow rope that he would tie up opponents with after defeating them and then assault them after. Shortly after his debut, he was hired by Ted DiBiase to help him defeat Virgil for the Million Dollar Championship, leading to a series of matches with Virgil. At the This Tuesday in Texas pay-per-view, Repo Man and DiBiase defeated Virgil and Tito Santana. Repo Man made a memorable appearance at the 1992 Royal Rumble, sneaking to the ring and after eventually being eliminated by The Big Boss Man, sneaking back. He also appeared at WrestleMania VIII, teaming with The Mountie and The Nasty Boys to be defeated by The Big Boss Man, Virgil, Hacksaw Jim Duggan and Sgt. Slaughter. Repo Man's most notable feud was with The British Bulldog in mid-1992, sparked by Repo Man hanging the Bulldog over the ring ropes with his tow rope on the May 3, 1992 episode of Wrestling Challenge. The two had a series of house show matches as well as a match on Prime Time Wrestling, all of which saw Bulldog come out victorious. Repo Man lost a match to former partner Crush at SummerSlam, though it was never acknowledged on television that Repo Man was actually Smash. Repo Man also had a short feud with Randy Savage in January 1993 when he stole Savage's hat on an episode of Monday Night Raw. The two had a match the following week, which Savage won. Repo Man made his final PPV appearance at the 1993 Royal Rumble, where he was eliminated by Savage. His final recorded match would be on March 28, 1993, a loss to Typhoon. In 1993, Darsow joined the IAW promotion where he teamed with Paul Roma to win the IAW Tag Team titles on February 4, 1993 (while he was still on the WWF roster). They held them until July 24, when they lost them to the Iron Sheik and Brian Costello. Darsow went to WCW in 1994 where he was always seen in the front row with a blow horn making noise and berating the faces while they wrestled. He was soon "arrested" for pushing Dustin Rhodes. Col. Rob Parker bailed him out and he became The Blacktop Bully, with Parker as his manager. He feuded with Rhodes but was fired after Uncensored 1995, when he and Rhodes both bladed (which was against WCW's 'no-blood' policy) during a "King of the Road" match in the back of a moving flatbed truck. From there, he went to Pro Wrestling America in Minnesota to feud with Wahoo McDaniel and Tom Zenk. He next appeared in the American Wrestling Federation, with Jimmy Valiant's wife Big Mama as his valet. The AWF folded at the beginning of 1997. 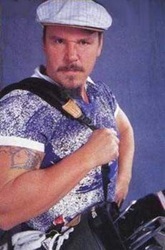 Darsow returned to WCW in October 1997, wrestling under his real name before repackaged in October 1998 as Stewart Pain, a villainous golf player named after Payne Stewart. He often entered the ring in casual wear and a flat cap as if ready to golf and, prior to matches, would offer his opponents a victory if they could make a putt in the ring, often only to sneak attack the opponent. Following the death of Payne Stewart in 1999, the gimmick was renamed "Mr. Hole-in-One" Barry Darsow and also "Putting" Barry Darsow. Darsow feuded with "Hacksaw" Jim Duggan and Chris Adams during this time, typically on WCW's "C-show" WCW Saturday Night. Darsow's golf gimmick was able to keep him in WCW until the end of 1999, when he left the company. Darsow as Demolition Smash at a Jersey All Pro Wrestling show in 2009. Darsow joined the WXO promotion run by Ted DiBiase. He feuded with Mike Enos until it folded shortly after in 2001. That same year, Darsow made a special WWF appearance at WrestleMania X-Seven for the gimmick battle royal as the "Repo Man". The Millennium Wrestling Federation (MWF) helped reunite Darsow with his partner Ax as Demolition and the two appeared at the Wrestling Living Legend's reunion in Windsor, Ontario, Canada in March 2007. 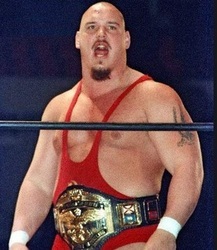 On the March 2008 MWF Ultra television program, Darsow, as "Demolition Smash" teamed with former WCW wrestler Rick Fuller to defeat Ox Baker's Army in a tag team casket match. On Raw XV, on the 15th-anniversary WWE Raw special on December 10, 2007, a bald Darsow participated in the 15th Anniversary Battle Royal under his "Repo Man" persona. Alongside Ax and One Man Gang, he competed in the Chikara King of the Trios Tournament in 2008, but were eliminated in the second round by "The Fabulous Three" (Larry Sweeney, Mitch Ryder and Shayne Hawke). Darsow still competes on the independent circuit to this day with fellow Demolition member Ax. They are currently the GLCW and USXW Tag Team Champions. 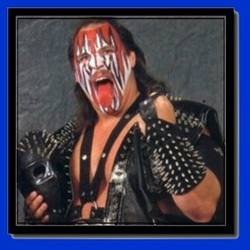 On March 12, 2011 Darsow is scheduled to make his Dynamic Wrestling Alliance debut at Dynamic Destiny 2011 teaming with Demolition Ax as they take on another former WWF World Tag Team combination, The Dream Team (Greg "The Hammer" Valentine & Brutus "The Barber" Beefcake). On May 21, 2011 Demolition reunited at Full Impact Pro's debut iPPV In Full Force. Their match against Tony DeVito and Ralph Mosco went to a no contest when local commentator and manager Larry Dallas came out and said his men wanted revenge. The ring was stormed by Manu, Sami Callihan, Blain Rage and Joey Attel. Demolition, Devito and Mosco managed to clear the ring and beat Dallas to end the show. Demolition returned to Chikara on September 16, 2012, taking part in a tag team gauntlet match, from which they eliminated The Devastation Corporation (Blaster McMassive and Max Smashmaster), before being eliminated themselves by their old WWF rivals, the Powers of Pain.